The secret to the perfect diaper bag is easier than you think. You see, all you need is your favorite purse our tote and ToteSavvy! 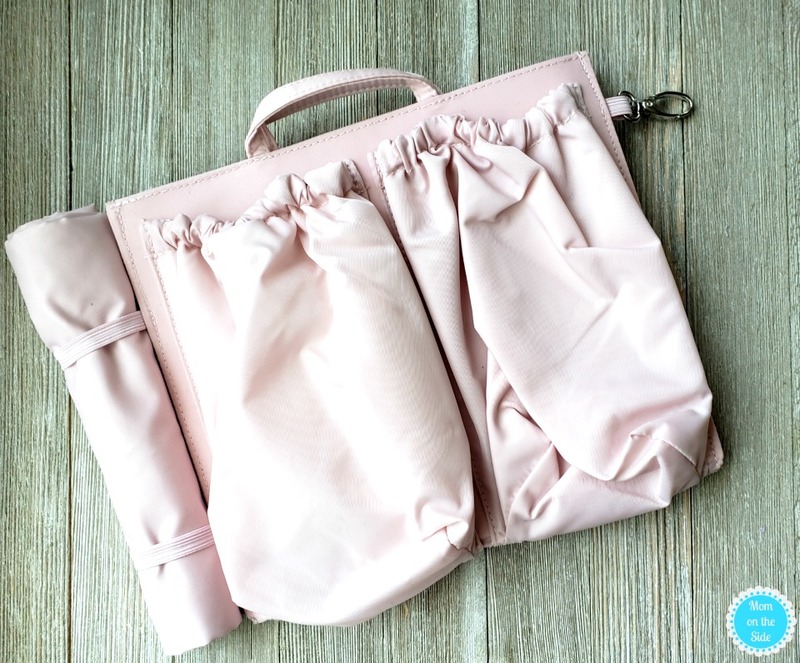 You can make any bag a diaper bag with ToteSavvy. Totes bags, backpacks, and purses now easily transform into a diaper bag and keep your sanity intact with organization. Created by a mom for moms, you no longer have to choose between being organized with a child and your favorite bag. ToteSavvy is available in two sizes (with a new size coming soon!) and a variety of colors. I’m currently using the blush mini in my bag. The twins may be five but that I’m still in the “my purse is 3/4 filled with kid stuff” stage. I can put snacks, hand wipes, water bottles, and backup underwear in the mini and toss it right in my purse. Perfect for smaller handbags, includes 6 tote pockets, washable changing mat, and key clasp. Perfect for large totes, includes 11 tote pockets, key clasp, and washable changing mat. 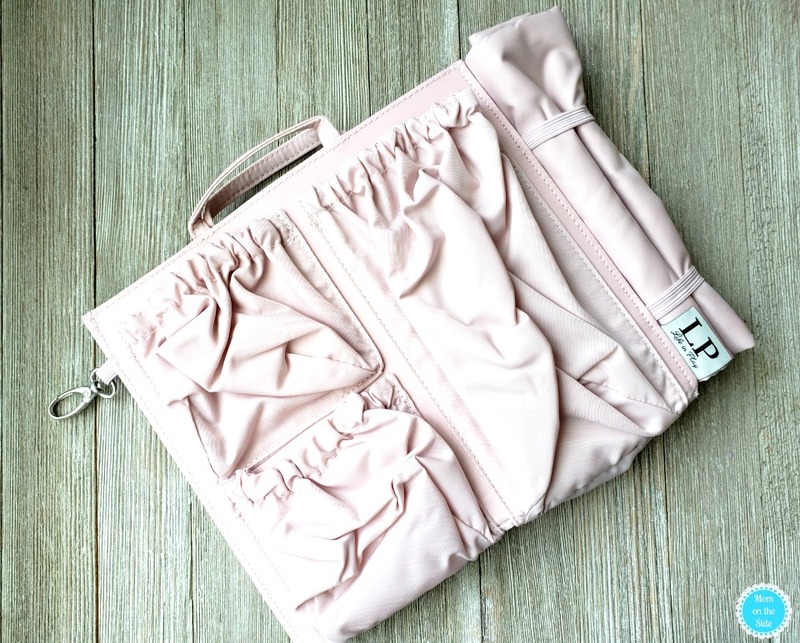 Features a plush-lined laptop sleeve (fits 13″ MacBook Pro or smaller), double-wide insulated cooler pocket with zip top, key clasp with rose gold hardware, and 11 total multi-use pockets. Other products available include pocket labels, bottle bag, deluxe changing kit, replacement changing mats, and even sweet totes that say “Mom Life is the Best Life” or “My Hairdo is Called I Have Kids”. I also love that they offer a refer a friend program. Tell your friends about ToteSavvy via email and they will get $15 off their first order. Plus, you’ll earn $15 in store credit every time one of your friends makes a purchase! PS: Something else I recently realized…ToteSavvy is also perfect for a wine picnic! One pocket for wine, another for a wine glass, others for crackers, cheese, and a wine opener. The changing mat makes the perfect picnic mat too! 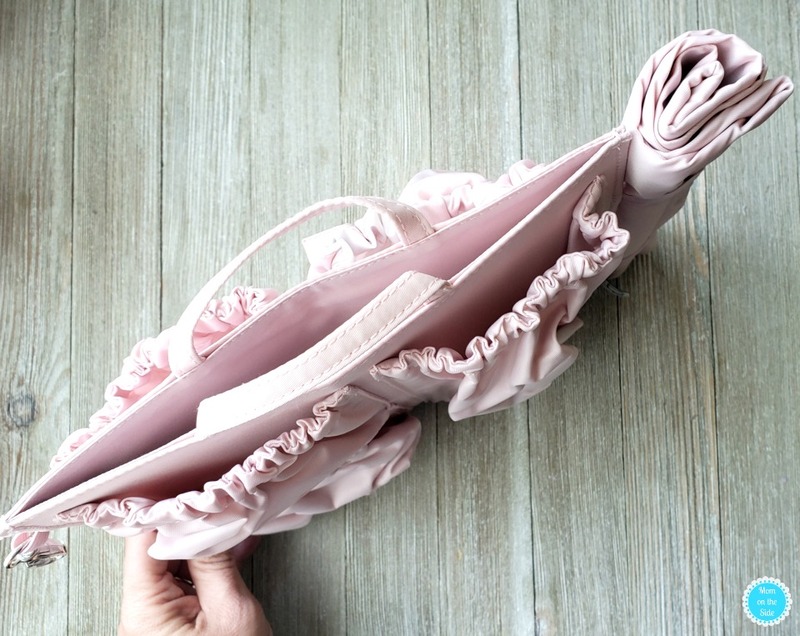 Okay, I kid, but seriously it is a genius idea and makes it easier to carry what we need to when our kiddos are little, without sacrificing our favorite purse.